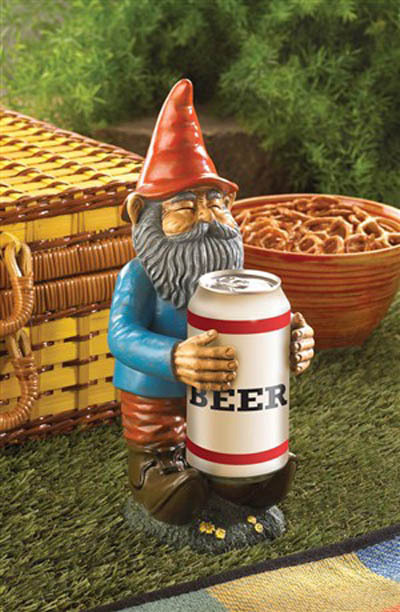 When its time to relax or celebrate, let this helpful garden gnome be your sidekick! 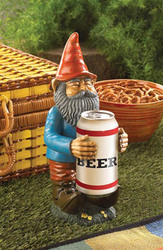 Place a can of your favorite beer in his hands and he will stand by to make sure your thirst doesnt go unquenched. Item weight: 1.8 lbs. 5 1/2" x 5 1/8" x 11 3/8" high. Polyresin. Drink not included. UPC: 849179015978.